‘n Paar dae gelede hoor ek ‘n groep mans gesels en kon ek nie help om lekker te lag toe die een vertel hy gaan vir die volgende 365 plus dae “boet” omdat hy Moedersdag, Sondag die 11 de Mei vergeet het nie. Hy noem toe ook, dat as hy nou by alles dit sal waag om hulle troudag-herdenking en sy vrou se verjaardag, wat binnekort opkom, sou vergeet, dit sekerlik ‘n lewensvonnis gaan beteken. Hy het probeer wegkom met, “ …. 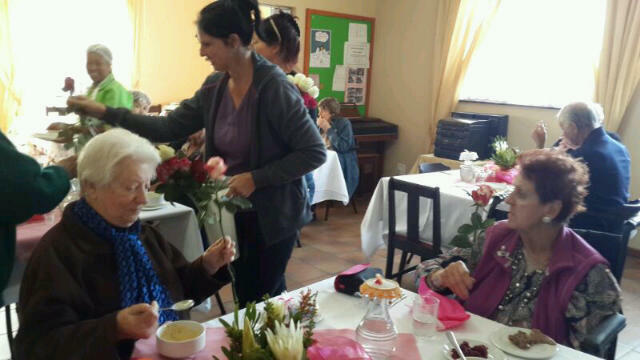 Maar vrou, elke dag is vir ons (ek en die kinders) Moedersdag” – maar nee, dit was toe nie ‘n aanvaarbare verskoning nie en blykbaar dink die winkels, bloemistes en restaurant ook nie so nie. Die ergste vir hom was dat hy “namens die kinders” iets moes beplan, want dis mos hulle moeder. Ek wil toe vir hom sê, pa jy hoef nie, – inisieer dit net en gee leiding. As jy daaroor opgewonde klink, sal die kinders ook, en die res sal hulle self uitdink en doen. Ja, selfs al verkies hulle om eerder op hulle louere voor die TV te lê. Enigiets – moet asseblief net nie niks doen nie !! MOSSEL BAY, 19 May 2014: The dates for Mossel Bay’s annual Sports Festival have been announced – and the organisers are urging everyone in the town to get involved. “The Festival has grown so much every year – largely as a result of the teamwork that’s gone into it,” said the town’s executive mayor, Alderlady Marie Ferreira. She said that while the Festival is coordinated by a committee which includes directors and officials of the Municipality, the actual work of creating, organising, and running the individual events is done by people and organisations who labour for the love of their sports. 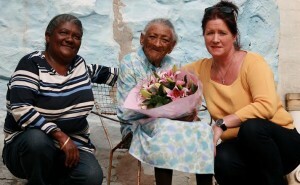 Alderlady Ferreira called on all members of the community to take part. 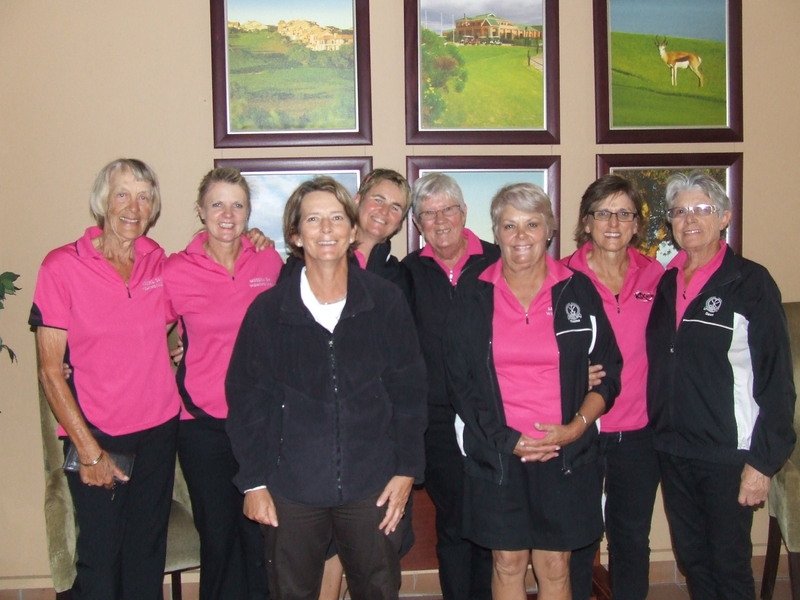 “Let’s make the 2014 Mossel Bay Sport Festival something for everyone – young and old alike,” she said. Last year’s Festival attracted more than 30 different sporting codes – and many of them have already indicated that they’ll be there again this year. These include soccer, bowling, golf, cycling, running (including the annual PetroSA Marathon ), sailing (including the Mosquito national championships), jukskei, skateboarding, school athletics, a motorsport gymkhana, and cricket (32 teams have already entered The Point High School’s KFC under-19s Cricket Week). A doggie walk in aid of the local SPCA, and the always popular MossMarch (a mass walk) and street party will have also been confirmed. The organisers are hoping that codes like netball, tennis, triathlon, lifesaving, rubber duck racing, squash, martial arts, women’s rugby, softball (korfbal), darts, badminton, klawerjas, a sea mile, angling, and diving will also be represented, and that various events will be arranged for disabled people. “This year’s Festival will run from the 3rd to the 7th of October, although the PetroSA Marathon will happen on the 28th of September,” said the town’s municipal manager and the festival’s chief coordinator, Dr. Michele Gratz. Mossel Bay Tourism’s Marcia Holm urged everyone in the tourism system to take part in the Festival, too. “Events like the Mossel Bay Sports Festival bring huge numbers of people into the town, and they’re great opportunities to showcase the Garden Route to short-term visitors who could return for their annual holidays later in the year. And with confirmed entrance from teams from as far afield as Windhoek, there’s no doubt that the Sports Festival attracts interest from around the country and beyond its borders. Festival details will be published on www.mosselbayevents.co.za as they become available. Take a step in the right direction! 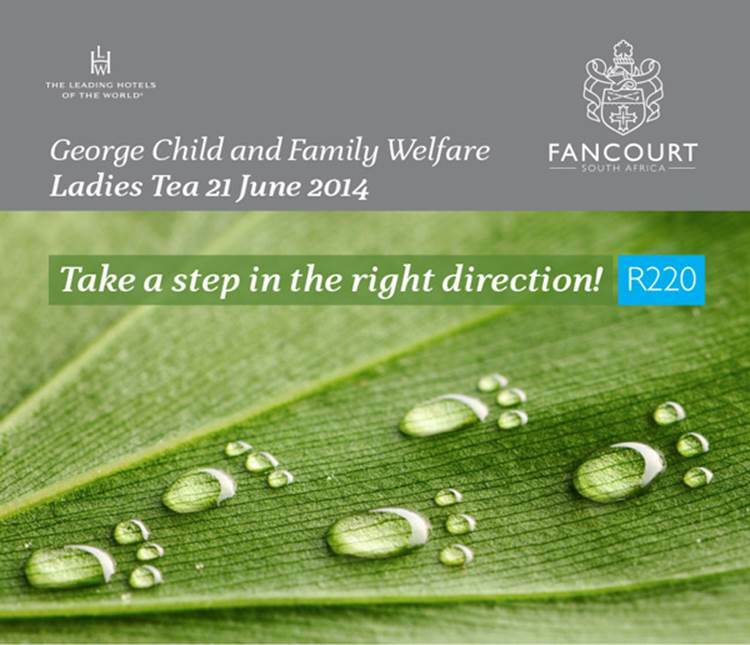 George Child Welfare are once again hosting our 6th annual ladies tea at the Banqueting hall of Fancourt Hotel on 21 June at 9h30. This year promises to be extraordinary as we spoil ladies while we share our vision in offering children of neglect and abuse a new beginning and a life worth living, filled with a little hope and happiness! The morning will be jam packed with lucky draws, super goodie bags and our famous silent auction and ladies will be inspired by Bruce Walsh our victorious guest speaker and survivor of the 1998 Planet Hollywood bomb blast in Cape Town. Bruce has stepped up to join our special day and share his story. Ladies will treated to a fashion show, showcasing the latest fashion of local clothing designer Sandra De Clerq, of Sandras Closet, and Fred Jonk Hair Design will surprise ladies with fantastical hairdos. A tantalising breakfast will also be served. All proceeds with be used in the upliftment of families in crisis. We offer parenting workshops, counselling, teenage and victim empowerment workshops during the year, as we continue to take one step at a time towards re-establishing family values. 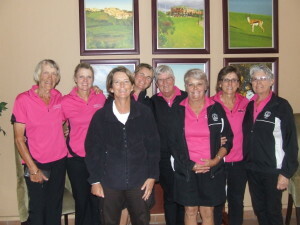 We thank Fancourt for once again supporting this wonderful event by being our main sponsor, and thank all our sponsors who make it possible to host this ladies tea each year. Don’t miss out look forward to seeing you there. Ticket price is R220 per person and you are welcome to contact Marlene or Tracy at the office on 044-8740424 to book your tickets early. Remember last year we had a full house of 250 ladies, some who have already made bookings for 21 June!! NB do not forget to visit our facebook page GEORGE CHILD AND FAMILY WELFARE and like our Ladies Tea Event and Auction 2014 photo album. If you are a sponsor your name will also be mentioned here. Should you be interested in participating in our email auction please forward an email to tracy@georgechildwelfare.co.za with AUCTION as the subject. As jongman, het ek altyd ‘n passie gehad vir tegnologie en elektrisiteit, waar wetenskap later ook ‘n passie geword het. My laaste skooljaar by die Punt Hoërskool in Mosselbaai, het ek besluit om my droom, om elektrisiën te word, bewaarheid, en het aansoek gedoen by ‘n elektriese maatskappy. My ma, wat ook my inspirasie is, het my aangemoedig om te volhard in dit wat ek graag wou doen. Alhoewel sy ‘n enkelouer is, was dit nie altyd maklik vir haar nie, maar ek en my sussie kon nog altyd staatmaak op haar. Na ‘n jaar by die maatskappy het ek aansoek gedoen om ‘n beurs by die Suidkaap Kollege om Elektries te studeer. In my tweede jaar op Kollege het ek aansoek gedoen by die PetroSA COE as Elektriese student. 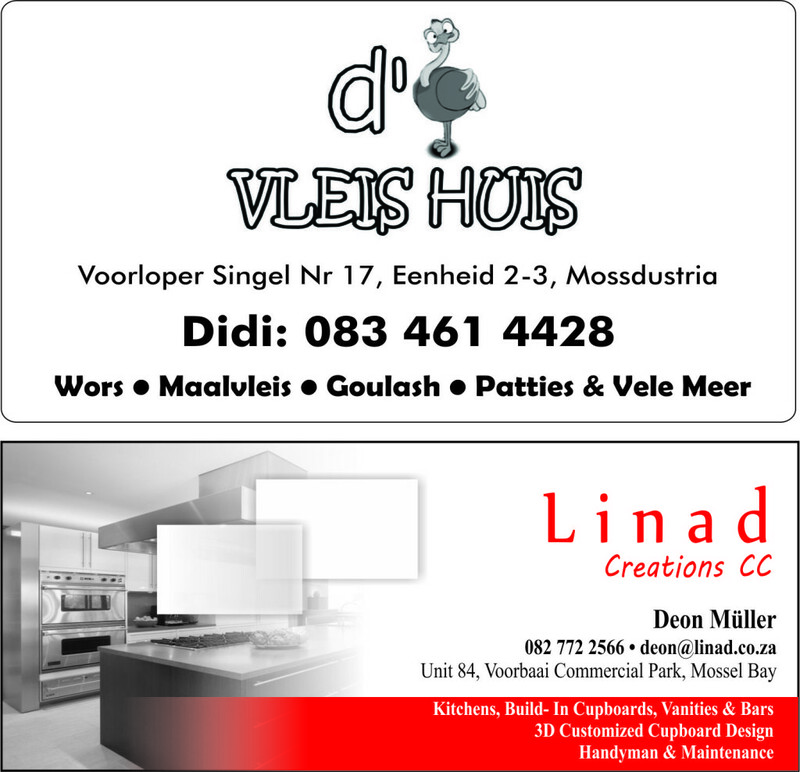 Hier het deure vir my letterlik begin oopgaan. Gedurende my vlak 2, het ek en 2 mede kollegas deelgeneem aan die Nasionale CHIETA kompetisie vir ambagsmanne en vroue. Die kompetisie het plaasgevind by NESCA in die Noord-Wes. Dit was ‘n tawwe kompetisie maar weens my passie vir die ambag het ek deurgetrek en tweede prys behaal. Met die prysgeld wat ek gewen het en nog spaargeld wat ek bymekaar gemaak het met die PetroSA “ Shutdown” 2013 het ek besluit om my moeder se droom te bewaarheid om eendag haar eie bloemiste winkel te hê. Op 20 Januarie 2014 het die deure van my ma se bloemiste, FLOWERBOX geopen. Baie dankie aan PetroSA Centre of Excellence vir sulke geleenthede, asook my moeder Karen Fourie, opleidings beampte (Mr Nolan Arends) asook my mede studente vir hul ondersteuning en bystand. Moet nooit moed opgee nie, glo in jou drome en dat alles altyd moontlik is met die Here aan jou kant. Christo Fourie, Level 3 Electrical Learner at the PetroSa Centre of Excellence. I always had a passion to work with technology, and it was my dream to become an electrician. Later as I grew older, I discovered that science also became a passion of mine. During my last year at school (Point High School, Mossel Bay) I decided to apply for a job at an Electrical company. With great encouragement and support from my mother, Karin Fourie it was easy. After a year at the company I applied for a bursary at the South Cape College, the PetroSA Centre of Excellence advertizing for Learnerships in Electrical and I applied. My application was successful! Here my story begins: Last year, the CHIETA had a National CHIETA competition for different trades where two colleagues (also learners) and I took part in. This was extremely stressful but due to my passion for the trade it went well and I won second prize in this competition. I saved the money and in September 2013, PetroSA had a Shutdown where, we as learners also got the opportunity to take part in and due to the extra hours we worked, received extra on our allowances. With my savings I decided to make my mothers dream a reality to have her own florist. 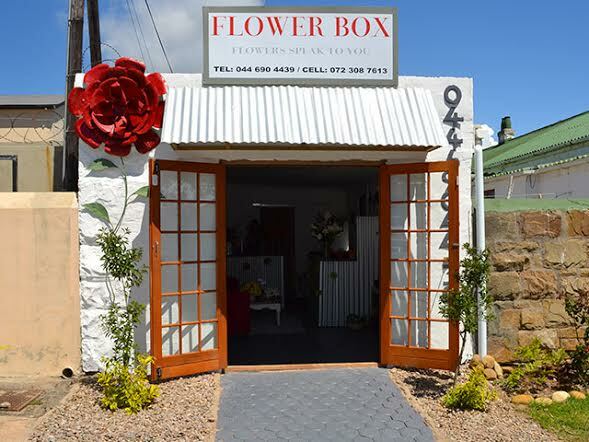 On 20 January 2014, we opened the doors of FLOWERBOX. Thank you to PetroSA Centre of Excellence for the opportunities where we as the community and leaders of the future can start to live out our dreams. A big thank you to my mother, Karen Fourie my inspiration, my trainer, Mr Nolan Arends for his support, by believing in me, as well as my colleagues for their support. At approximately 08h00 this morning, Tuesday the 6th of May, NSRI Oyster Bay volunteers were activated following reports of a yacht run aground in Oyster Bay. Mark Mans, NSRI Oyster Bay station commander, said: “Our duty crew responded to find solo sailor, 62 year old Darren Hansen, from Mossel Bay, safe on the beach in the care of bystanders who had happened upon the man lying on sand dunes and attempting to reach a place where he could raise the alarm early this morning. “During a storm in the night no one had noticed the yacht run aground which happened some half a kilometre away from the edge of the Oyster Bay housing line. 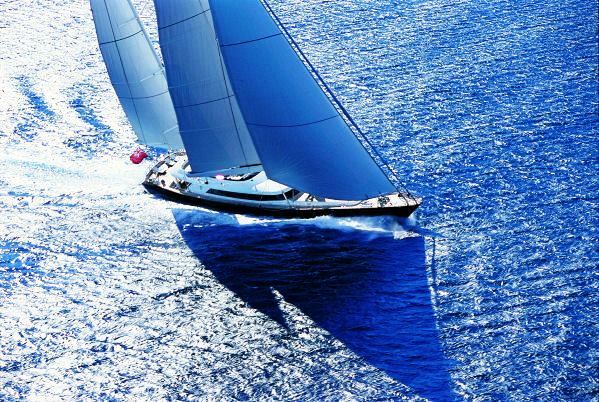 “Mr Hansen, sailing on his 8.2 meter yacht INGRID, from Mossel Bay to Port Elizabeth, had run aground during the night after attempting to sail his yacht into the shelter of Oyster Bay to escape rough weather but a wave had capsized his boat (estimated to have happened at around 9 p.m. last night) and the boat was washed ashore and broke up on rocks approximately half a kilometre away from the edge of the housing line in Oyster Bay. The remains of the 8.2 meter yacht INGRID62 which belonged to Darren Hansen, from Mossel Bay. 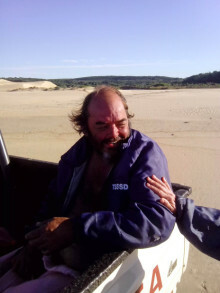 “Mr Hansen lost his prosthetic leg during the ordeal but he managed to get to shore and he had crawled towards houses to as far as sand dunes where he was found by early morning walkers lying on a sand dune exhausted, and they raised the alarm. “It appears that Mr Hansen lost everything during the incident. Waves had ripped his clothes from his body and he was found with nothing except the shattered yacht and debris lying amongst rocks nearby. ‘n Groot aantal spelers het op Donderdag 1 Mei 2014 (Werkersdag) opgedaag om die Sanlam Kankerdag te ondersteun. Hierdie verdienstelike kompetisie word jaarliks landwyd aangebied en sodoende word derduisende rande ge-in om in ‘n groot behoefte te voorsien. In die A-afdeling (voorgee 0-9) het Hendrik Kriek (voorgee 4) skitterende gholf gespeel en 40 stableford punte aangeteken. Gavin Reynolds en David Wandrag was onderskeidelik tweede en derde op 39 punte. In die B-afdeling het Kosie Otto op 36 punte verseker dat hy na die volgende rondte deurdring. Die C-afdeling (voorgee 19-30) is totaal deur Mike de Villiers (42 punte) oorheers. Gabriël Smith (38 punte) was tweede met Wessel Pieters (35 punte) derde. Die afdeling-wenners speel later vanjaar op George in die streek-finale en die wenners daar sal na Sun City gaan om die kampioene te bepaal. Christo Langenhoven van Coastal Meats het op 7 Mei 2014 ‘n wonderlike geborgde dag aangebied wat die wenners met pakke vleis huiswaarts laat keer het. Johan en Danie van Langelaar wat die afgelope week die kompetisies oorheers het, het saam met André Middel en Jaco Erasmus die vierbal alliansie kompetisie op ‘n voortreflike 95 punte gewen. Naaswenners Heinrich Rehr, Ronald Frylinck, Riaan en Stephen Schenck het 90 punte aangeteken. Saterdag 10 Mei 2014 se beterbal stableford kompetisie is in drie afdelings beslis. Die A-afdeling is deur die bestendige JJ Joubert en Karools Hauptfleisch op 41 punte gewen. Wiekus en Annette Pretorius (41 punte) is na die uittel tweede geplaas. Die B-afdeling is heeltemal oorheers deur Johan en Danie van Langelaar (46 punte) met Ferdi Jonck en Louwtjie Louw (43 punte) in die tweede plek. In die C-afdeling het twee strydrosse, Robert Strydom en Dons de Wet, op 43 punte geseëvier. Nog twee veterane, Danie le Roux en Wayne Mitchell, se 40 punte was genoeg om die tweede plek te verower. Goeie nuus vir ons besoekers is dat u vanaf 1 Mei 2014 tot 31 Augustus 2014 op nie-kompetisie dae teen ‘n bekostigbare fooi van R250-00 per persoon ons mooi baan kan geniet. Bogenoemde fooi sluit ‘n gholfkarretjie in met dien verstande dat u speelmaat dit met u deel. Mossel Bay residents can now recycle milk containers too. 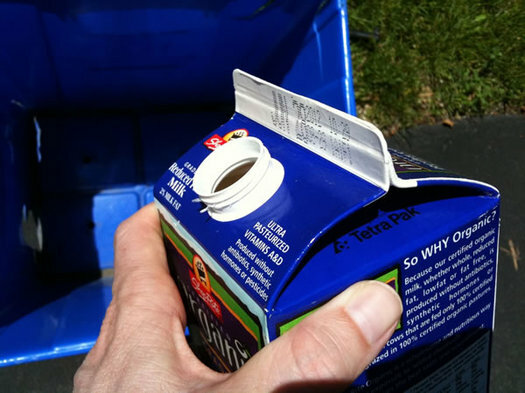 Although this item was previously excluded from the list of items that can be recycled, an agreement has been reached with Nampak for milk containers to be recycled as well. The Municipality again appeals to Mossel Bay residents to support its waste recycling initiatives, both from a point of view of caring for the environment for future generations, and to ease the pressure on existing landfill areas and refuse transfer stations. Photostat paper; laser print paper; computer paper; all writing paper, letterheads and envelopes (regardless of colour); newspapers, magazines, books and pamphlets; all cardboard boxes and packaging material; cardboard displays; clean wrapping and packaging plastic; clean plastic shopping bags; plastic as well as cool drink and milk bottles; all beverage and canned fruit cans; glass bottles and jars (all containers to be rinsed). Any wet, smelly or soiled materials; diapers; carbons; chemically treated facsimile or heat sensitive paper; ice cream sweet, biscuit and chips wrapping and packets; used paper towels and paper serviettes; plastic-coated paper; wax paper; tinfoil; cling wrap; polystyrene food containers; cellophane; window glass; light bulbs; neon tubes, porcelain and pottery. • The customer will be required to finance and invest 50% of the purchase value of the property upfront. • This 50% deposit must originate from foreign funds transferred to South Africa. • Proof will be required reflecting the deposit was transferred to South Africa, from foreign origin. (Proof of swift is required*). • Details of the Attorney’s account will be required where 50% deposit is retained, or will be retained. • Proof of the deposit made to the Attorney’s account is required in the form of a bank statement, and must accompany the application to Exchange Control. • A confirmation letter from the attorney stating the purpose and amount of funds retained in their account. 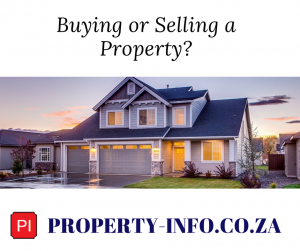 The confirmation letter must also state property description for the property being purchased. • Details of banking account where payments for the home loan will be made from. *SWIFT code is a standard format of unique identification code for a particular bank used when transferring money between banks, particularly for international transfers. 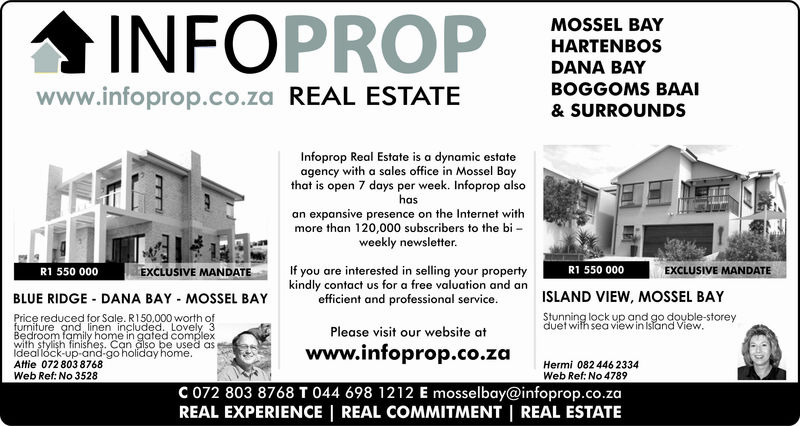 Call for expressions of interest: Travel Mossel Bay! MOSSEL BAY, 13 May 2014: Mossel Bay Tourism’s annual 3-day celebration of travel and tourism – now called ‘Travel Mossel Bay!’ – will take place on the 17th, 18th and 19th of October this year, and the company has called for expressions of interest from people, businesses and organisations who want to share in its success. Exhibitors at last year’s festival. ‘Travel Mossel Bay’ will take place from the 17th to the 19th of October this year. “Travel and tourism are fundamental to our economy, and Travel Mossel Bay! is an excellent platform for sharing, learning, and marketing the town as a destination within its context in the Garden Route and Klein Karoo – so our invitation goes out to everyone in the region,” said Mossel Bay Tourism’s Marcia Holm. She said that the festival will take the same format as last year – a day of discussions, a day of exhibitions, and a day of travel and outings. 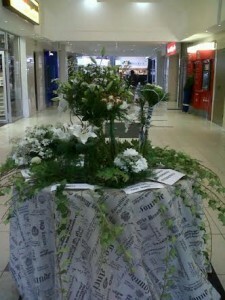 “We’re planning an exciting mini indaba for line staff in the tourism business for the first day of Travel Mossel Bay! : a networking event for waiters, junior managers, receptionists, and other front-line personnel who deal with guests all the time. “The idea is to make each participant aware of the things that visitors can see and do in the region, and so prepare them for questions their guests might ask. “It’s planned as a half-day event, with a motivational speaker, a presentation on Mossel Bay, a presentation on the region, a speed-marketing session (during which delegates will be asked to make two- or three-minute presentations about the products for which they work), and an informal boerie-braai for lunch. 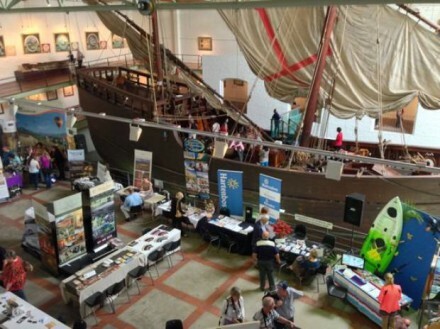 “On Day 2, we plan to be back in the Maritime Museum of the Dias Museum Complex for a day of table-top exhibitions with additional lectures and presentations. Ms. Holm said that discussions are under way to incorporate the Gardens of the Garden Route into the festival. “We’re hoping that this will encourage satellite events at, say, the shopping malls or commercial nurseries, or in private gardens. She said that Travel Mossel Bay! is envisaged as a festival for all. If you’d like to take part as an exhibitor or speaker, if you’re intrigued by the idea of a Voorkamer Museum, or if you’d like to offer special tours or discounts during the festival period, please contact Marcia Holm (manager@visitmosselbay.co.za or 044 691 2202). 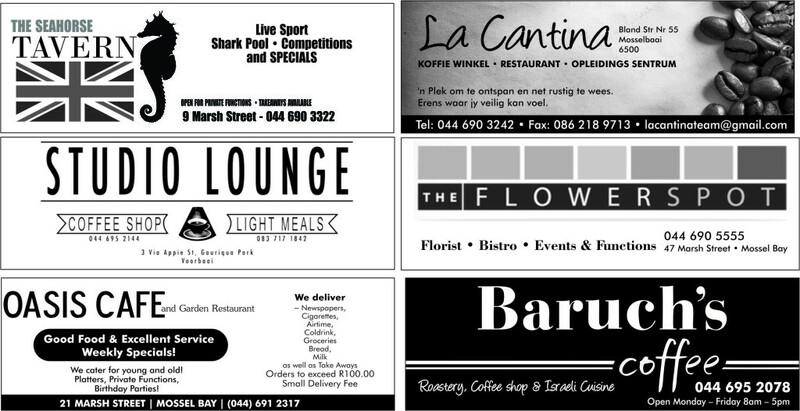 Details and a programme will be posted on www.bit.ly/TravMBY (the long link is www.visitmosselbay.co.za/festivals/travelmosselbay) as they become available.